Since NEF established its Sudan program in 1978, our field staff have worked tirelessly through decades of civil war and regime change to deliver hope and lasting change. Here’s a brief history of our impact in communities throughout the country. Early on, NEF’s projects in Sudan focused on building local institutional capacity for sustainable agriculture and animal husbandry. In 1986, a decade-long initiative was launched to promote beekeeping (with African bees) by collaborating with a group of young Sudanese professionals to form the Sudan Bee and Agricultural Association in central Sudan and Darfur. The training center in Kabum in South Darfur continues to function—nearly 20 years after NEF’s direct support ended. NEF expanded its technical training capacities to include programs in project design, participatory development, gender sensitivity, finance, and community health. NEF staff trained more than 2,000 Sudanese government officials and local development professionals through experiential learning workshops. In the late ‘90s, NEF launched a micro-credit program for low-income people in the states of North Kordofan, North Darfur, and Blue Nile, and eight large communities of Internally Displaced People (IDPs) around Khartoum. NEF staff also worked with three communities in North Darfur to train midwives and set up revolving funds to assure availability of affordable over-the-counter and prescription medicines. The program ultimately expanded to 10 communities, where the funds continue to function even after years of conflict in the region. NEF began a series of integrated projects in the Dar Es-Salaam al-Rabwa IDP community outside of Khartoum, whose more than 40,000 residents lacked access to basic health care, education, and water. The first task was to construct the community’s only health clinic. Originally designed to provide basic services to local residents, the center expanded to offer pre-and post-natal care, primary health care, and maternity services to nearly 2,000 patients per month. Management of the health center has now transitioned to a local aid organization experienced in health care delivery. 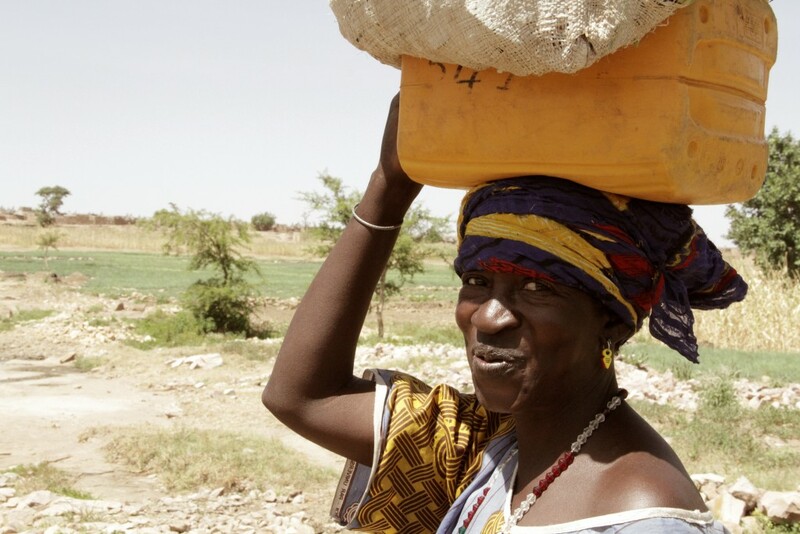 Beginning in 2004, NEF mobilized local communities to repair and improve their water supply systems. By the project’s close in 2008, more than 2,100 individuals had access to potable water, and the community health clinic and local schools were connected to the new pipe network. In addition, NEF staff worked with community associations to construct and renovate local primary schools, organize women’s literacy classes, and establish microcredit and microenterprise programs. Today, NEF’s projects in Sudan focus around peace building through collaborative natural resource management and livelihood support, raising awareness on HIV-AIDS, and developing income-generating skills among internally displaced people. Click here to read more about our past and ongoing work in Sudan.